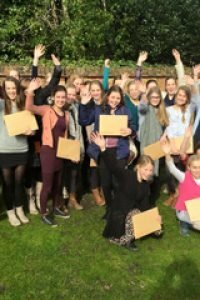 “In February we visited CELC with a group of 28 Dutch female students. At the start of this exiting week they didn’t know what to expect, so they were all a bit nervous about flying to England, their homestays etc. “Once they had arrived at Southampton Airport they formed a close group and they were really looking forward to visiting CELC and facing new experiences. We were picked up by two minibuses and went to school after we visited the New Forest. The students had to start their teaching on Monday afternoon. “Our students had a very good time at CELC and they loved the trips we made. We made several trips: Durdle Door, Hengistbury Head and shopping in Bournemouth. Since we travelled with 28 female students, they really had a great time shopping in Bournemouth. During the week we were very lucky with the weather conditions. “CELC selected some very fine homestays for this week, so the group leaders didn’t hear any complains about the homestays. All the students enjoyed their stay.